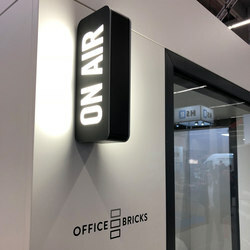 OFFICEBRICKS is the first patented sound insulating cabin system for professional use in office, fair trade and industry environments that can be simply stuck together due to its modular design with bricks, no drilling or screws are needed. 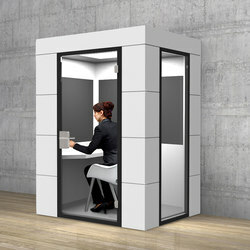 OFFICEBRICKS cabins are therefore the best solution for open plan offices where privacy areas are rare. 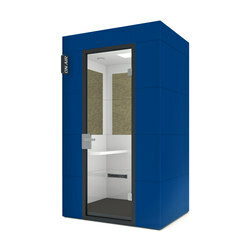 The units are quick and easy to assemble and disassemble, while creating comfortable work and privacy areas with excellent sound-absorbing quality and top design. 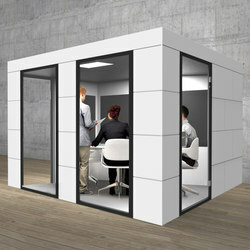 OFFICEBRICKS with their cubic outline based on individual bricks combine top design with a high level of functionality. 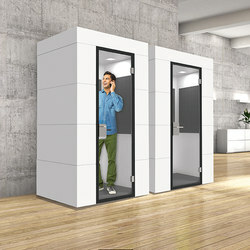 Accordingly, OFFICEBRICKS units provide all the comfort and privacy which regular open-plan offices so often lack. 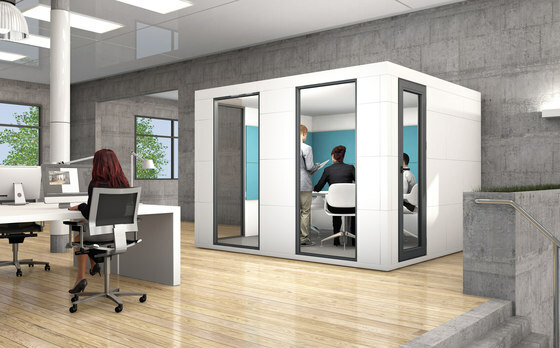 The two-walled sound insulating cabins create innovative room-in-room solutions which allow focused and concentrated work, undisturbed phone calls and meetings as well as relaxation. 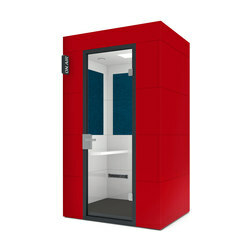 The sound insulation works inside and out: no external noise in the cabin, inside conversations cannot be overheard from outside - and thus create a comfortable atmosphere. 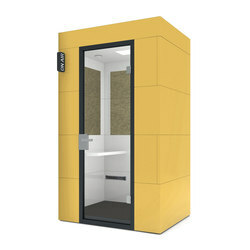 Due to the modular design Officebricks cabins can flexibly be adjusted to existing rooms, they are available in different sizes and for all kinds of purposes. 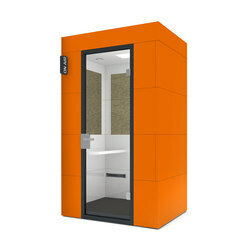 Customized branding and design solutions are available on request ensuring the cabins to fit into every possible office environment or match existing CI guidelines. 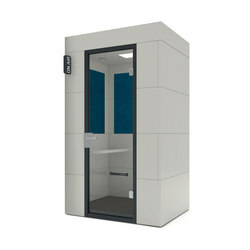 Extra sound isolation for special requirements is also possible. 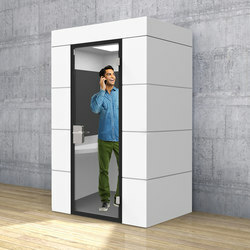 The cabins are a “plug-and play” device, all that is needed is a simple plug socket. 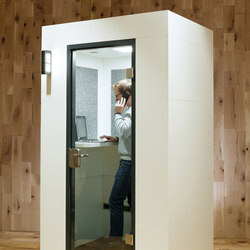 OFFICEBRICKS recently provided customized cabins in a special design to the co-working company wework. 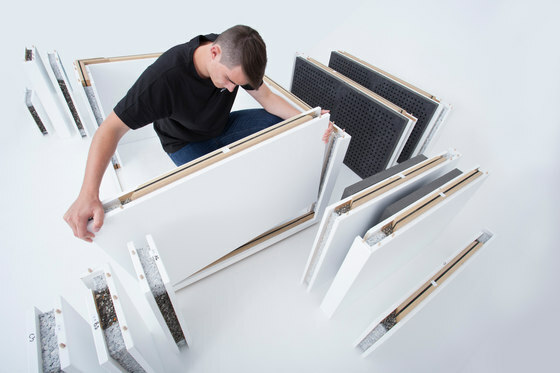 Durch die Modularität können die Kabinen flexibel den vorhandenen Räumlichkeiten angepaßt werden. Kundenindividuelle Design-Lösungen und Branding mit Kunden-Logo sind bei Bedarf möglich und stellen sicher, daß die Kabinen in jede Office-Umgebung passen und mit den CI-Richtlinien übereinstimmen. Extra-Dämmung für spezielle Anforderungen z. B. im gewerblichen Bereich, ist ebenfalls verfügbar. Die Kabinen bieten echtes “Plug-and-Play”: zum Anschließen genügt eine einfache Steckdose. 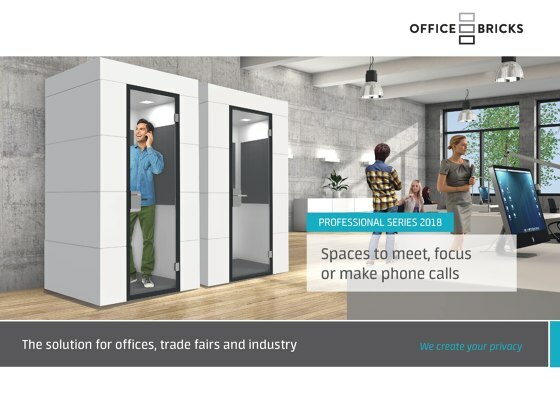 OFFICEBRICKS hat kürzlich das Co-Working Unternehmen wework mit Kabinen in kundenindividuellem Design ausgestattet.